In order to understand Campsite reporting, we must first understand the definition of metrics in the Digital Out-Of-Home world and how Campsite uses them to build a statistical model to provide reporting accuracy. Ad Served: A single play of an ad creative. Impression: Someone exposed to an ad creative. View: Someone exposed to an ad creative for its full length or at least 30 seconds. All views are impressions but not all impressions are views. The dwell time, which is the time spent by someone in the viewable area of a DOOH screen, determines whether an impression is counted as a view. We ask our suppliers with connected inventory to provide traffic data verified by a third party source (COMB, Nielsen, Quividi, etc.). In order to sell the inventory on a cost-per-view basis, Campsite gives preference to suppliers who are able to provide impression data per hour or better yet, via a technology such as infrared sensors, cameras, beacons, Wifi detectors, etc. Here’s a step by step example on how Campsite measures results. We use verified third party traffic data provided by suppliers as our starting point, typically it's in the form of total average weekly impressions. This is what it looks like when Campsite distributes these numbers on a weekly timeline. There are 168 hours in a week, so 1340 / 168 = approximately 8 people per hour, on average. Since Campsite allows advertisers to day-part (to buy inventory at specific hours on specific days) we therefore need to provide accuracy beyond average weekly traffic. More specifically, we need to be able to demonstrate activity on an hourly basis. Fortunately for advertiser, the whole DOOH industry is moving towards providing more granular data. This graph represents a typical restobar and we can clearly see when the venue is closed and when the peak traffic times occur throughout the week. This level of data is available for every screen connected to Campsite. Campsite uses this data to report accurate results. If a campaign is scheduled to run during peak traffic hours, the peak will be reflected in the reporting. Similarly, if a campaign is scheduled during closed hours, Campsite won't charge the buyer as no activity occurred during this period. Data gathered from technical devices allows Campsite to deliver precise reporting on an hourly basis at the screen level. As an example, a little coffee shop in a quiet neighborhood doesn't have the same traffic as a big nightclub, and certainly not at the same hours nor on the same days. However, most third party sources of OOH traffic data only provide averages per market, which is why it is important for us to be able to weight traffic with another source of data to understand if a venue is under or over the market average. By using an activity-detection device, we are able to figure out the traffic contribution from each venue to the market average. The traffic information provided by third party data is compared to the average detected activities provided by the detection device. So if a location has twice as much activities compared to the average, the traffic will be twice as high. However, the total traffic for the market will remain the same as the 3rd party data. In this case, if you booked a campaign to run for 1 hour on a Friday night in this venue, Campsite will report that 45 people have been exposed to your ad creative for that specific hour. This number is the result of third party data being distributed and weighted by a detection device. When Campsite reports data, it is always based on this statistical model and not directly from the sensors. The reason for this is because sensors, such as infrared, Wi-Fi and Bluetooth don’t count people, they detect activities or devices. When activity detection becomes a pattern, we can then refer to third party data source such COMB or Nielsen (that actually count people), process the data and provide the best estimation. Campsite use these weekly traffic charts to deliver accurate reporting. These chart are updated at different intervals depending the venue type. Some venues, like restaurants experience large seasonal traffic variation. In their cases, these charts are constantly updated and only use the past three weeks as the data source. Some other venue types, like office towers have fairly constant traffic patterns and are updated as necessary to remain accurate. In the online world, a view is measured by its completion rate. In Out-Of-Home the concept of a completion rate is irrelevant since all videos play in their full length and are never interrupted by user action. What is important when buying DOOH video inventory is to know if someone actually had the opportunity to view the creative for its full length (or at least 30 seconds). This is how we define a view in Campsite, and by doing so, we align ourselves as close as possible to the online video definition of a view. DOOH screens are intentionally placed in an environment where there is maximum exposure to an audience that is within the area of the screen long enough to view multiple ads in the content loop. This is referred to as Dwell Time - the length of time, on average, that a person enters and remains within the viewable area of a DOOH screen. Think about a screen located in a Campus corridor or hallway vs. one that is located in the Campus cafeteria. If you’re buying Views, you most-likely want to be in the cafeteria since the dwell time is much longer, meaning people are more likely to see your ad for its full length. Although Campsite isn’t able to demonstrate that a specific individual has seen a specific creative in it’s full length, it can provide a fairly accurate estimation of view counts down to the screen level. By knowing the dwell time of every single screen in its system, the number of times a creative plays in an hour (loop length) and the creative duration, Campsite is able to calculate a ratio on how many impressions qualify as a view. In this case, 5 out of 6 creatives (or 83%) will be counted as views because there has been an opportunity to view them for their full duration. The other creative will be exclude from the view count since it hasn’t been seen either at its beginning or at its end. Campsite will report the total view count as the number of impressions (6) multiplied by this view ratio (83%)= 5 views. Let’s take a look at another example of a screen located in a hallway with a shorter dwell time of 15 seconds, with a 15 second creative. The view ratio for this screen is 0 out of 2, therefore Campsite will consider that no creative in this screen has been viewed for its full duration of 15 seconds, but will count it as impressions. So far, Campsite only supports campaign objectives based on views, however, we will soon support campaign objectives based on impressions. In other words, in addition to CPV, you’ll soon be able to buy on a CPM or a blended combination of the two. Views metrics and the cost-per-view pricing model are new concepts in DOOH, for Campsite, suppliers and for agencies and advertisers. As such, we strive to continue to improve, adapt and inform in cooperation with our partners and organizations such as the IAB. If you have any questions or need further clarity please do not hesitate to reach out to your Campsite representative. Restaurants and bars are social and recreational environments which generally suggests that people who visit them want to be there, giving advertisers the opportunity to reach customers in a positive setting. The wide range of locations offered through Campsite already guarantees access to segmented audiences (such as business people, students, etc.) and since people associate their identity to the places where they want to be and be seen, targeting possibilities become even more precise. The team at Campsite has been working hard to give you more user management freedom. 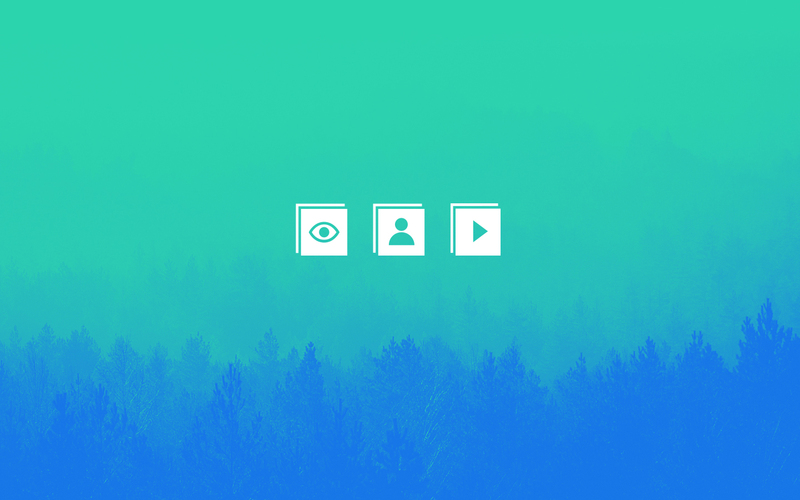 Campsite now allows you to create, manage and assign users different roles independently. You can access the user management section by clicking on the link located in the dropdown menu below your username at the top right. On this page, you will see a list of your current active users and can manage their permissions by assigning them a role. If you want to add a new user, you may do so by clicking the +User button at the top right of the screen.